This year's annual CURE epilepsy benefit will not be held in February, as in past years. Super storm Nemo put a pretty big dent in the number of guests who were able to dig out of the snow to attend last year's event, though we still managed to raise over $22,000 for epilepsy research. So, this year we are going to have a go at it in April instead, while still keeping in mind the original intent of honoring Calvin's birthday, this year being his tenth spin around the sun. 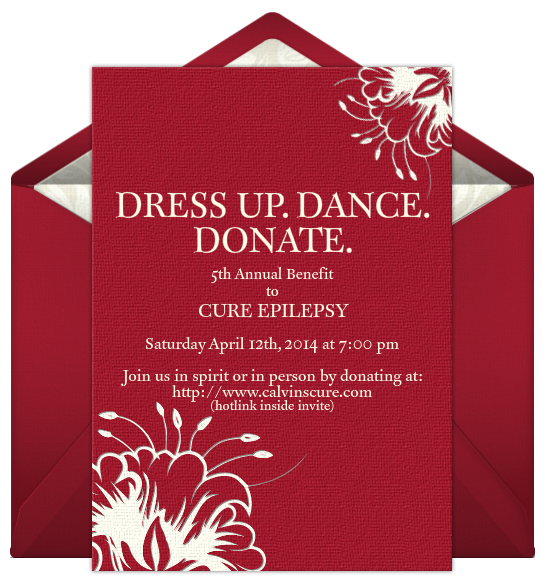 So save the date, Saturday, April 12th, to dress up, dance, dig deep and donate to epilepsy research. There will be delicious food and drink, enough to help you get down with your bad selves on the dance floor. And for those of you who can't make it, please simply join us virtually by donating online at http://www.calvinscure.com and help us surpass this year's goal of raising $30,000 to find a cure for epilepsy. It's still a long way off, but I am already looking forward to it! Hope to see you there.